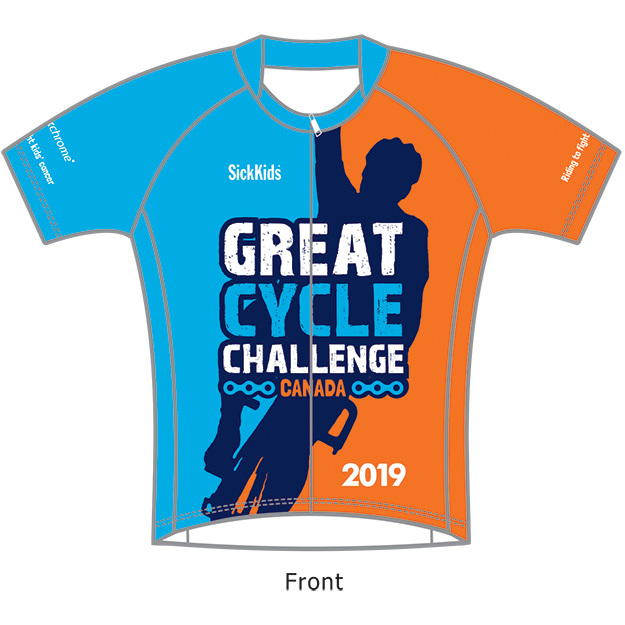 Get your very own 2019 Great Cycle Challenge Canada jersey to wear throughout your challenge! 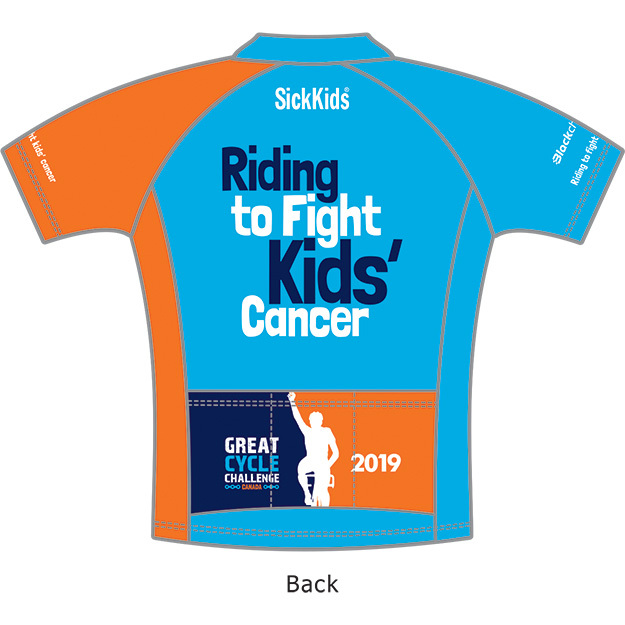 We'll notify you as soon as you qualify (via email), ask for your size and postal address and then send your jersey out to you within five working days, starting April 10, 2019. Jerseys will continue to be mailed regularly during June, so if you reach $500 throughout the month you'll receive your jersey a few days later. Raise $500 to fight kids' cancer! Your jersey will be shipped to you within five business days of confirmation of shipping address. There's only one condition: we can only guarantee your jersey size while supplies last.